Years ago, after reading a post on 604 Munchies, we visited Prata-Man 百達門 on the day Buddha Boy returned from his boys-only golf trip. I remember that we left the dive with satisfying tummies. 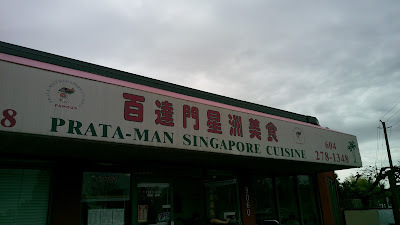 Now, years later, Buddha Boy and I thought to give this place another try. Of course, we could not visit this place without ordering their famous Hainanese Chicken Rice 海南雞飯. The two of us ordered a half bird with three bowls of oil rice. Since we were dine-in customers, soup was served. The strong ginger taste may be vigorous for some people, but Buddha Boy and I enjoyed the complimentary bowls of Chicken Soup 清雞湯. Two common dips were given. 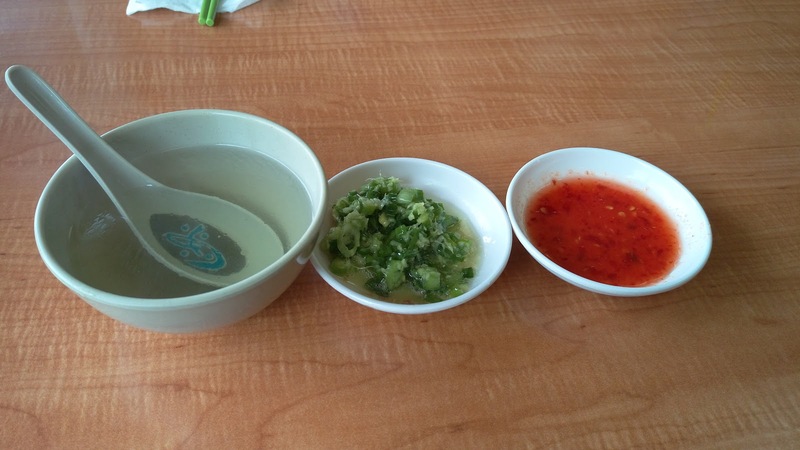 One was the simple blend of scallions and ginger, the other was the sweet Thai chili sauce. Now, please correct me if I'm wrong. I once had a Malaysian colleague who made me some hainan chicken, I was told that the classic condiments should be dark soy sauce, minced ginger dip and a blended mix of fresh chopped garlic and chili. Our half order of Hainanese Chicken 海南雞 came mostly deboned and was immersed in soy sauce. The white and the dark meat were both tender and moist. 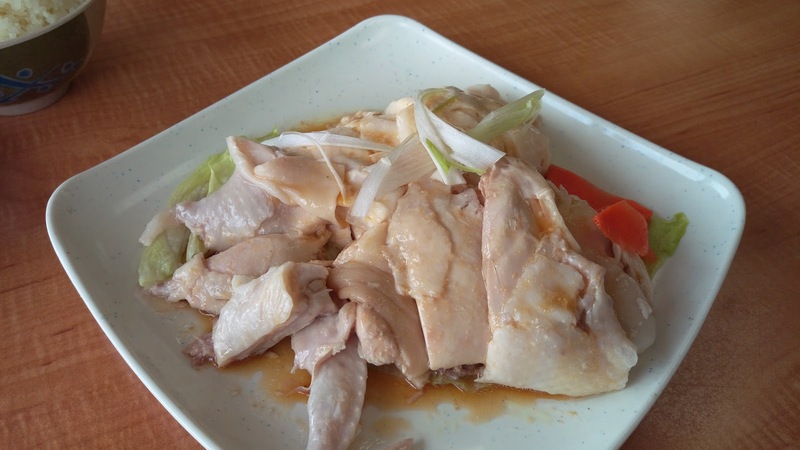 The skin was not as gelatinous as Mui Garden 梅園 or Coco Hut 椰樹林 and it did not have that jelly-like layer in between the skin and the meat like what we've had at Specialty Chicken & Wonton House 農場雞莊. Nonetheless, this was still a satisfying plate of Hainan chicken. Because Buddha Boy makes awesome chicken oil rice at home, we tend to be a bit snobby when dining out. Surprisingly, while incomparable to homemade, we did enjoy the Oil Rice 油飯. 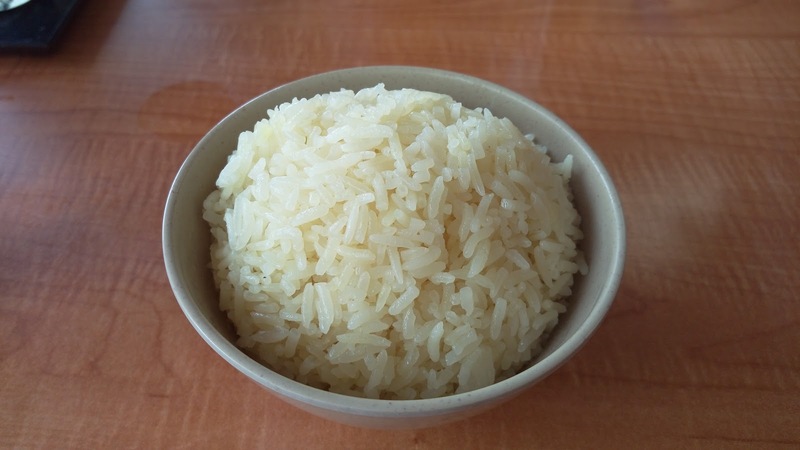 However, that being said, the rice needed more chicken fat/essence to embellish that significant fragrance. Our dozen of BBQ Satay 爐燒沙爹 came 50/50 of chicken and pork. The skewers were barbecued nicely with lovely grilled marks and gentle char taste. 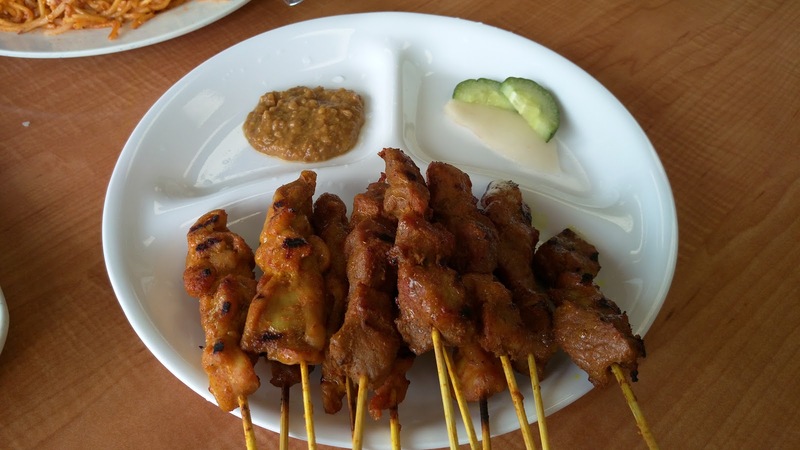 The meaty chunks were tender but overly sweet, so satay sauce was not really necessary. The Mee Goreng 馬拉香辣炒麵 usually comes with beef, but we substituted with chicken instead. I had a feeling that the noodles would be the ketchup-version because just minutes before this dish was served, I saw the cook grabbed a brand new Costco-sized bottle of Heinz from their storage area...and yes, I was correct. 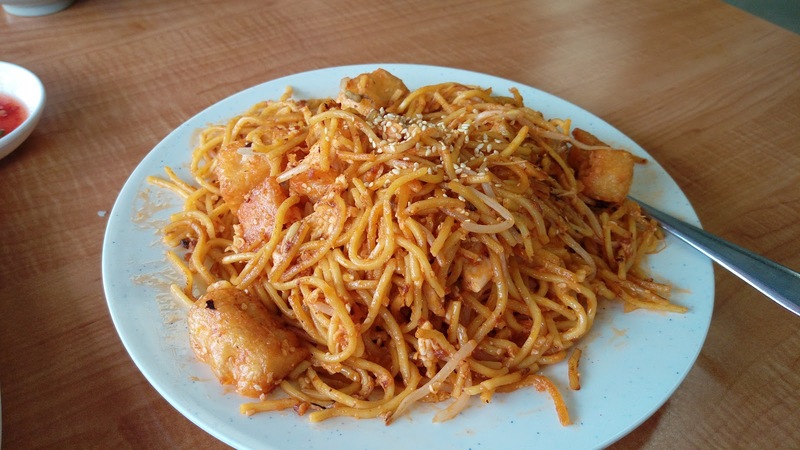 Unlike our visit years ago, the noodles this time were al-dente but the overuse of ketchup did overwhelmed any measurable seasonings needed for this hawker dish. Other than the outer coating of ketchup, chicken chunks were bland. Continuing on with more food, we needed to order something to go with the Green Onion Prata Bread 香聰煎薄餅. After reading through the menu and the handwritten items on the walls, Buddha Boy finalized the decision with an order of Curry Fish Balls & Fish Maw 咖哩魚蛋魚肚. 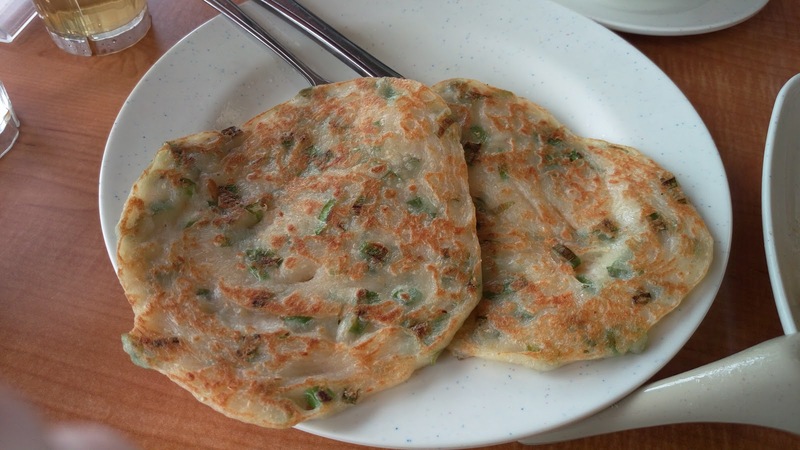 The prata bread was pan-fried but had no crispy surfaces. The dough was thick with a density that was similar to a pancake. Even though the bread had plenty of visible chopped scallions, the taste was weak. Not recommended. 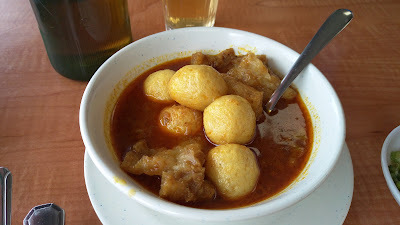 The curry was a good portion for the price with satisfying amount of acceptable fish balls and mediocre pieces of fish maw. The sauce itself was not spicy, but it was oily and gritty with strong kicks of spices. If you plan to order any type of curry, eat it quickly because the grease may throw you off as it cools. With multiple restaurants in this small complex, easy parking no longer exists as it was years ago. We were lucky to find a corner parking spot right next to this hole-in-the-wall dive. Menu prices were very reasonable especially with its take-out discounts. While the service was included, don't expect much as this family-run business likes to bundle up at the front counter chatting and looking outside at buddha-knows-what.